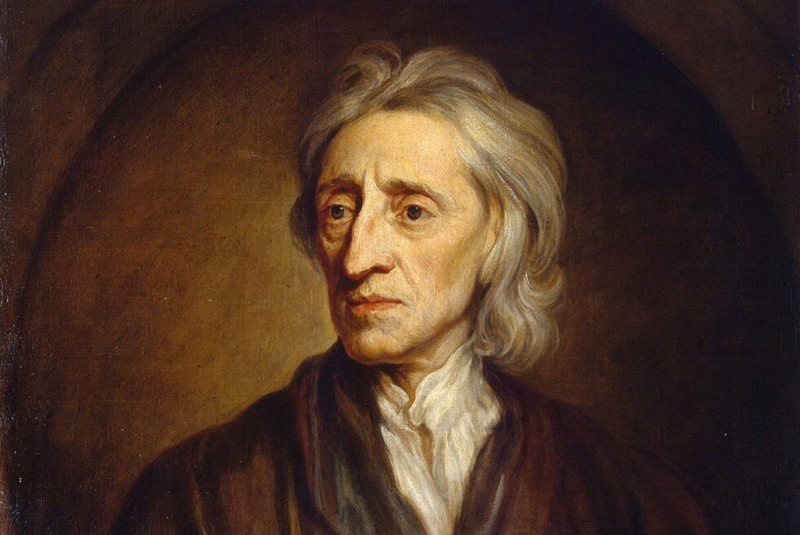 1697 portrait of John Locke by Godfrey Kneller. Courtesy of Wikimedia Commons. I think we’re looking at the wrong part of this question—atheists—when we should be looking at the really interesting part: belief. To understand the difference between believing and not believing, you have to consider how Christians talked about unbelief five centuries ago, when Taylor says it was virtually impossible. If Charles Taylor says that in 1500 it was virtually impossible not to believe in God, but Sebastian Franck wrote in 1534 that there is not a single believer on earth, then obviously we’re missing something. Here’s what we’re missing: Belief has a history, and the thing we call “belief”—our opinion that a proposition is true, based upon our individual judgment—is a relatively recent invention. Before the seventeenth century, in Western society “belief” was a concept tightly guarded by the church, and it carried very different meanings. To believe the wrong thing, or in the wrong way, was not really to believe at all. For one thing, belief was understood to be certain rather than merely probable: To think something 99 percent likely was to disbelieve it rather than believe it. Medieval theologians distinguished sharply between “belief” and the very different, corrupt faculty called “opinion.” Thomas Aquinas, for instance, writing around the year 1270, defined “opinion” as an “act of the intellect inclined to one alternative while retaining respect for the other,” a kind of probabilistic calculus. By this definition, opinion might sometimes contain some truth, but it always contained falsehood, so opinion could never be a religious virtue. Belief, by contrast, was virtuous because by definition it was assured. Of course, by these arguments, wrong belief could easily be dismissed as not really belief at all. It was instead merely a kind of opinion, the result of trusting in some profane evidence or argument rather than the perfection of God and the church. Aquinas, for instance, wrote that anyone who does not “believe in a God as we understand it in relation to the act of faith”—like Muslims and Jews—does not believe that God exists at all. This strict framework, widely available in the philosophical and theological writings of the Middle Ages, was weaponized by the Protestant Reformation. With the fragmentation of Western Christianity, “belief” became a way of asserting exclusive possession of rare and valuable truths, and the rival churches proved unwilling to grant belief-status to their enemies. Protestants doubled down on the authoritarian implications of medieval belief, arguing that “believers” were not those obedient to the church but the tiny minority whom God chose to save, the elect. As John Calvin wrote in 1560, “there remaineth nothing else for the rest but the reproach of atheism.” Catholics, by contrast, argued that Protestantism was a negative rather than a positive religion, not a belief system at all but a subtraction from the beliefs of the church. The brand-new word “atheist” emerged for the first time in the middle of the sixteenth century, almost simultaneously in every European language, as a way of signaling this new controversy. The Reformation thus filled the world with “unbelievers,” not because many people failed to believe in God by our definition of the term—they did not, and they were unamused to be defamed as atheists by their opponents—but because increasingly narrow definitions of belief made the condition such a rare one. In this novel framework, “belief” is made accessible to all—it is made free—because belief is merely human judgment, without pretension to absolute or indubitable truth. Opinion is raised up to a new level, while religious belief is knocked down a peg. In this brave new world, I might believe a religious doctrine in much the same way I believe that Lee Harvey Oswald acted alone, or that the sun is part of the Milky Way galaxy: I judge it to be true based upon whatever evidence I find most probative. This framework reached the shores of North America most famously in Thomas Jefferson’s 1786 act establishing religious freedom in Virginia. There Jefferson wrote, “Our civil rights have no dependence on our religious opinions any more than our opinions in physics or geometry.” This statement would have been literally nonsensical in the sixteenth century—religion was not considered the stuff of opinion at all (neither, for that matter, was science, but that is a different story). But by the end of the eighteenth century, belief was so transformed that Jefferson’s statement had become a truism. And so, we have arrived at how “atheism” could have become so reasonable or respectable a position that 11 percent of the American public might avow it. That is, as belief itself was redefined as merely individual judgment, atheism became a kind of belief, rather than the absence of belief. It is simply a judgment, no more or less legitimate than any other opinion based upon evidence and argument, and in that sense, it is parallel to the other kinds of beliefs people hold. But we are also now in a position to see that asking how atheism became possible is not the most interesting question. The problem is, the question takes belief itself for granted, as a default position from which some fall occurred. Our persistent attention to atheism obscures the fact that the biggest transformation in the history of religion in the West was not the rise of unbelief but the transformation of belief itself. Ethan Shagan is professor of history at the University of California, Berkeley. He is the author of several books on European history and the history of Christianity, most recently The Birth of Modern Belief: Faith and Judgment from the Middle Ages to the Enlightenment.